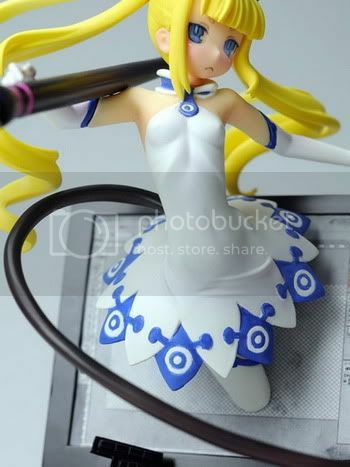 Mediation is going to release the Palette Exclusive Color version 1/8 PVC figure from the light novel Yumeiro Happy End. 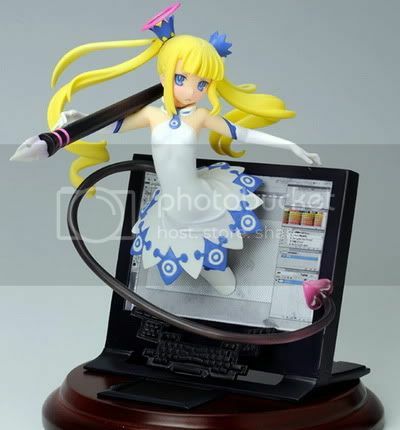 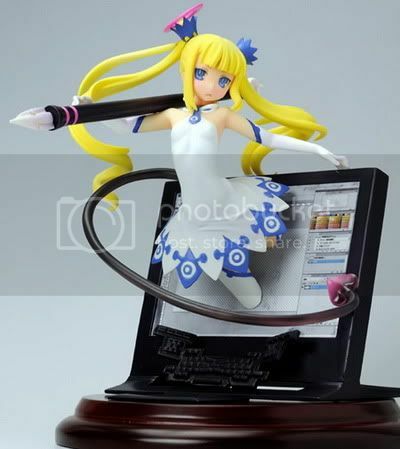 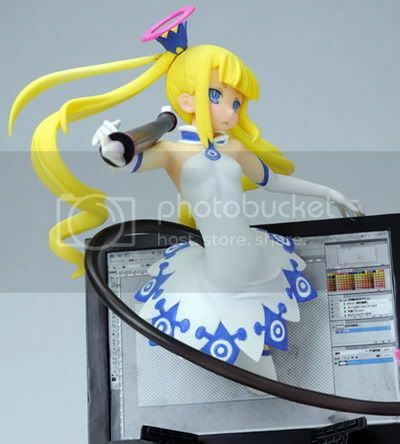 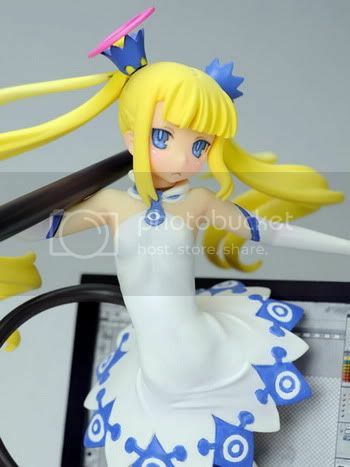 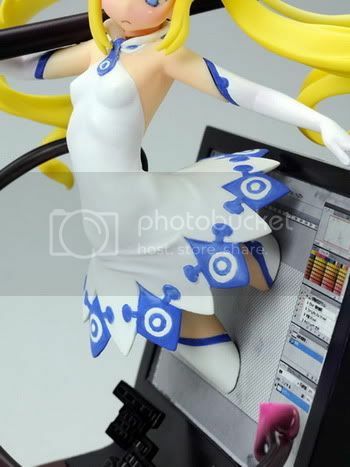 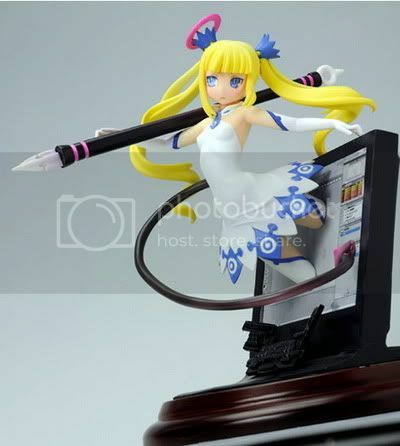 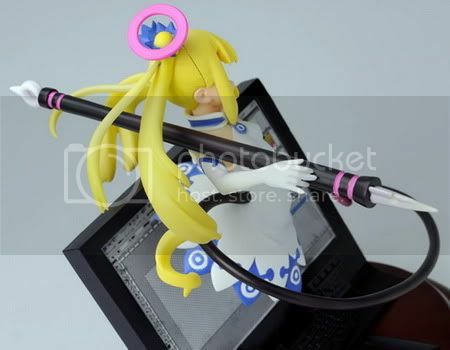 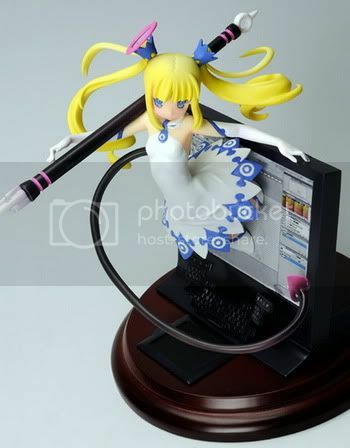 This figure is approximately 155mm in height and will be released in October 2010 around 8,500 yen. 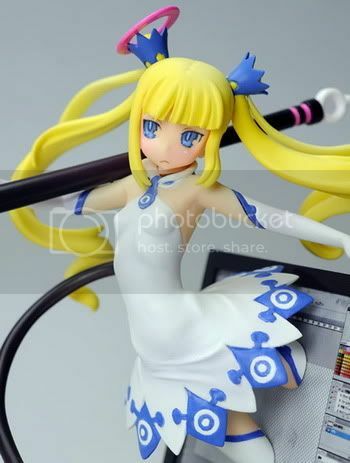 She is also a Petit Jeuness, E☆2 (Etsu), and Amiami exclusive. 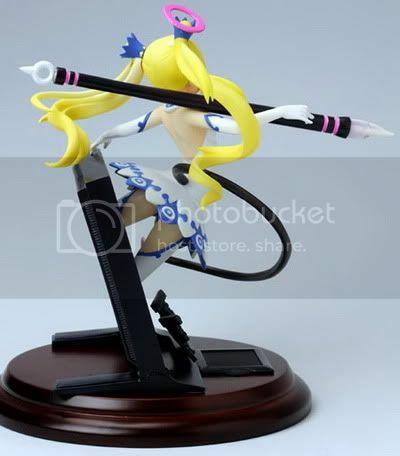 Actually I still prefer the original color version of her. 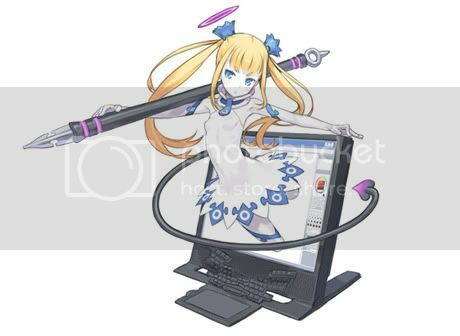 But depsite the color argument, I like the gesture and the detail they put at the monitor screen. 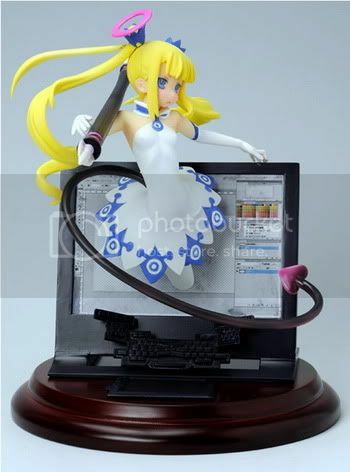 I think this is still a nice figure with a nice "out of the box" diorama. 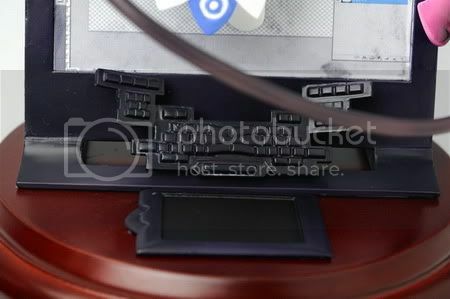 But what bugging me a lot is the way they made the keyboard and the monitor case... it's look like a failure molded.